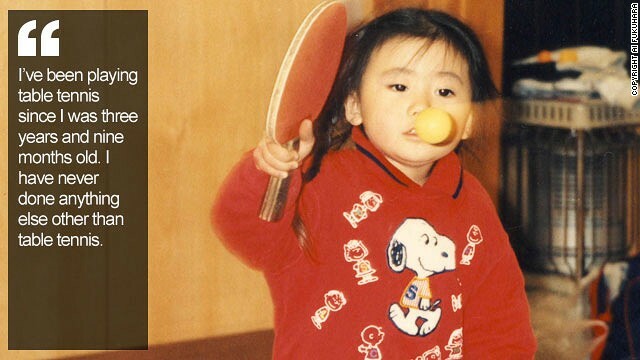 (CNN) -- Ai Fukuhara's face is a picture of concentration as she crouches over the table tennis table, batting ball after ball back to her opponent. As she rocks back and forth, executing every flick, chip and smash with lightning speed, it's easy to see why she says the game calls for a nimble mind as well as quick hands and feet. 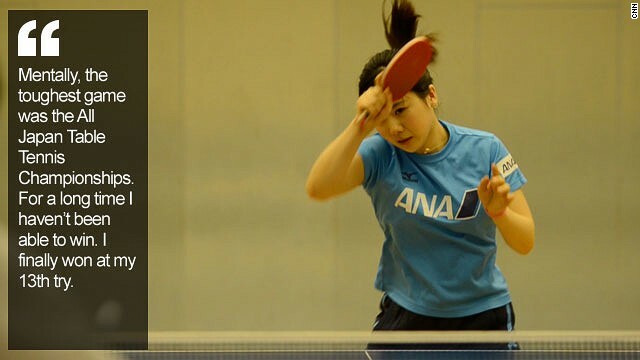 "Table tennis is often compared to a 100m run while playing chess," Fukuhara told CNN's Human to Hero series. "It's really right. You have to think as well as move -- so not only does your energy get used up, but also your brain gets exhausted." Despite being only 26 years old, Fukuhara is a veteran of the sport honing her game over the course of 16 years in the professional ranks and before that as a precocious amateur. The girl affectionately known as "Ai-chan" (her first name means "love" in English) shot to fame in her native Japan following a series of appearances on national television when she was a toddler. "I started table tennis at three years and nine months old and I've been covered by the media since I was four," she explains. TV viewers marveled at the little girl from Sendai who could barely see over the top of the table but could hold her own against adult opponents. But it was her tears when she lost a points that most people remember, earning her the nickname "cry baby." Some of the footage, which can be found on YouTube, looks traumatic at times, but she recalls her early duels against TV opponents with a sense of fondness now. "I was just putting my whole energy against them," she says. "I was just enjoying surprising people. I wanted to win the game. I was happy that people cheered for me." 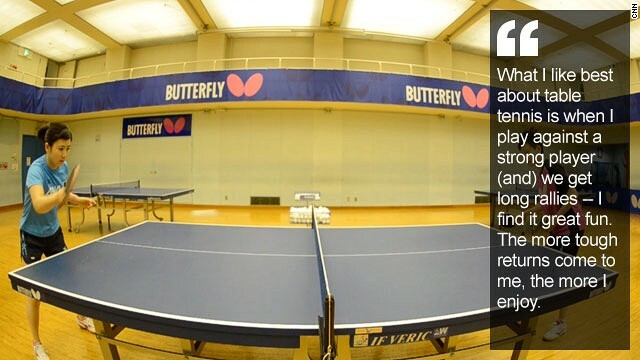 The performances helped lodge Fukuhara's name in the public consciousness and set the tone for a life devoted to table tennis. Today, Fukuhara trains for around six to seven hours every day and estimates to have completed more than 25,000 hours (nearly three years solid) of practice to date. This work ethic, instilled by her mother, Chiyo, laid the foundations for her rapid rise through the junior ranks. At five years old, she won her first national competition and turned pro at the age of 10 in 1999. 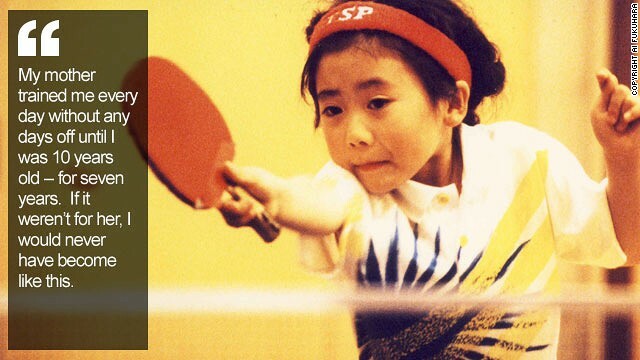 Four years later, she was representing her country at the world championships in Paris where she reached the quarterfinals, before making history at the 2004 Olympics in Athens when, aged 15 years, 287 days, she became the youngest-ever female table tennis player to appear at the Games. A medal proved elusive at both Athens and Beijing four years later where she was afforded the honor of flag bearer for the Japanese team. 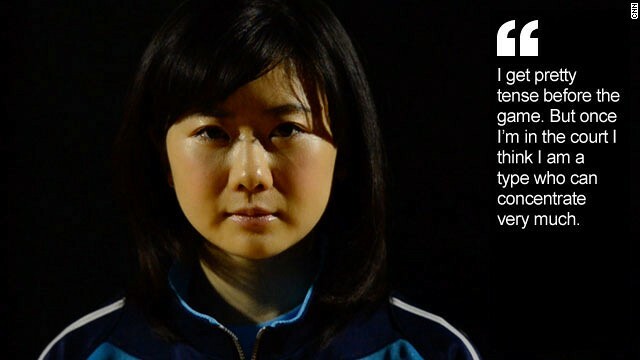 But a silver medal in the team event in London in 2012 earned her and Japan their first-ever medal in table tennis since it became an Olympic sport in 1988. "Everyone was so happy (back at home). I was amazed how pleased they were. "I was happy to win the medal but I felt even happier to show my medal to the people, and people living in the disaster zone," she says referring to her hometown of Sendai, which was devastated by a tsunami in March 2011. 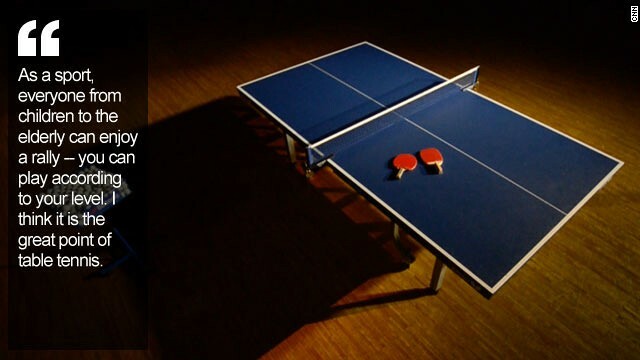 There have been other triumphs at the table, notably five world championship bronze medals (four team and one mixed doubles), an individual bronze at the 2005 World Cup and a much coveted national title in 2012. Finally winning her national championships was one of her proudest achievements. "I finally won at my 13th try -- the competition was hard for me mentally (because) I couldn't win it for such a long time." Fukuhara has also made an impact off the table, helping to popularize the game in her homeland while also cultivating an avid following in China by competing in the country's Super League. She also speaks fluent Mandarin and was given an unofficial rubber stamp of approval when she played a few rallies against then Chinese President Hu Jintao during an official trip to Japan in 2008. Today, her popularity in China remains strong and so does the rivalry against the sport's strongest nation. "Right now, the biggest goal is to beat China," she says. It's likely she will have to defeat them if she is to fulfill her childhood ambitions and claim gold at the Rio Olympics in just under two years' time. 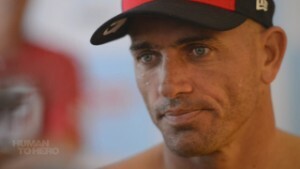 "I want to be on the podium in both team and individual events there. I can't forget the view from the podium in London -- I feel so proud to see the Japanese flag being raised at (medal) ceremonies." Fukuhara has defied the simplistic classifications that are frequently applied to child prodigies -- she hasn't become an all-conquering hero, yet, nor has she gone off the rails. Instead, she has trodden a middle ground, retaining a sense of perspective and satisfaction despite having done much of her growing up in public. "I'm very proud that I've been able to continue playing table tennis for such a long time," she said. "I can play thanks to the support of a lot of people. And what makes me happy is to see those people's delighted faces and share a joy of victory with them." "Seeing happy people gives me the most energy." She just wishes more people would take up the game. 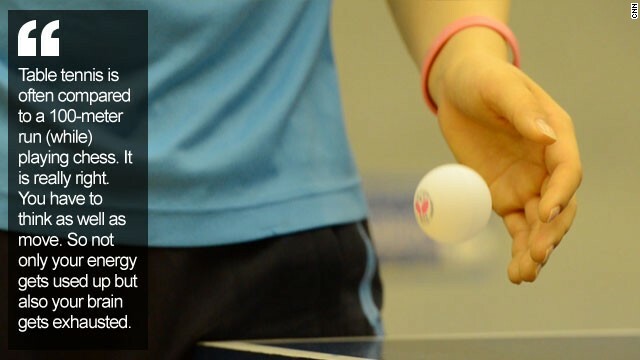 "Table tennis is such an interesting sport. It's fun to watch, but if you actually play you understand how great it is. If you ever get the chance, please pick up the racket and play!"